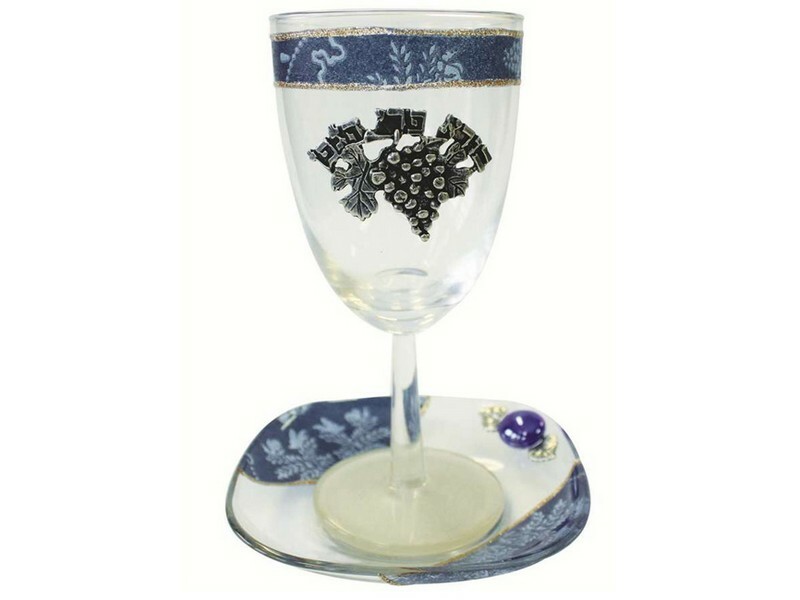 Glass Seder Plate - Blue Tulip. 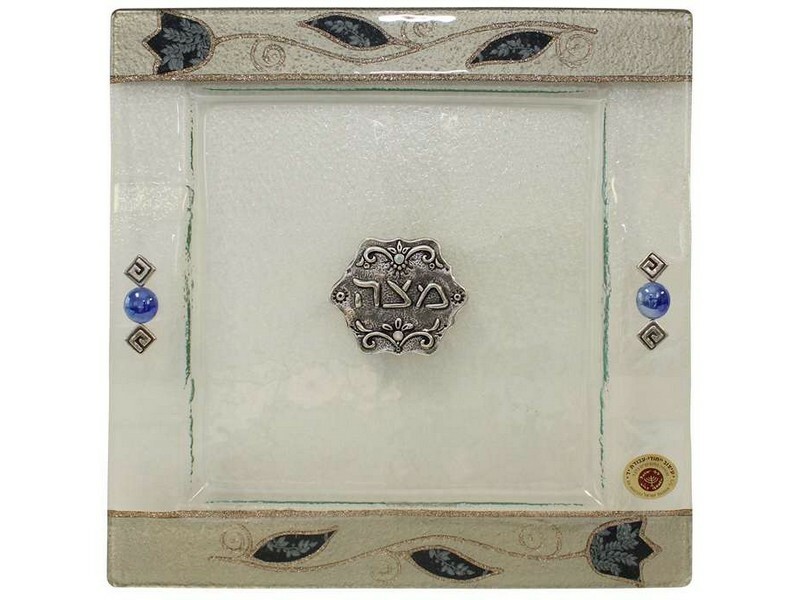 This artistic Passover Seder Plate is part of the Lily Art design collection. The Seder Plate is round with six recessed small bowls arranged in a circle. The Seder Plate is masterfully color stained with six areas of blue tulips with inlay design, outlined in gold on a gold background. Silver colored plaques with the Hebrew names of the symbolic foods that are placed on the Seder Plate label the bowls accordingly. 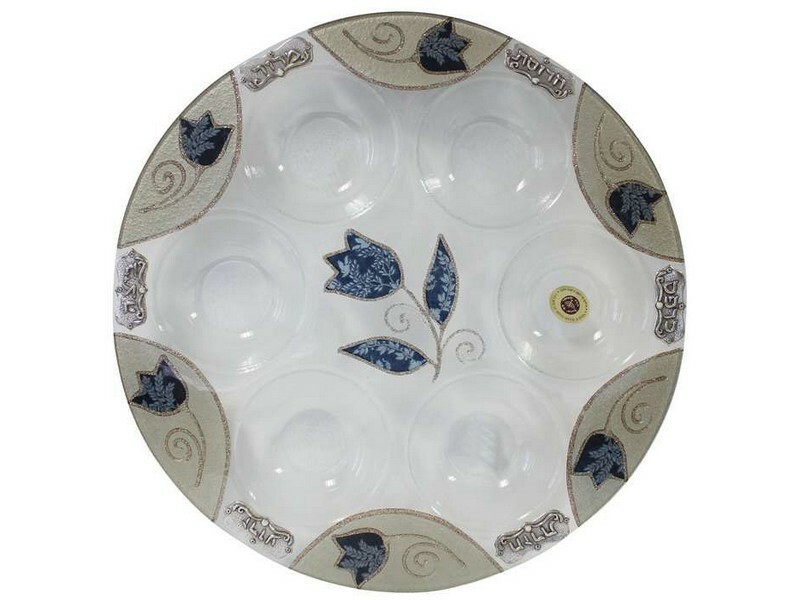 In the center of the Seder Plate, a large matching blue tulip adorns this stunning Seder Plate that will be the centerpiece and enhance your Passover Seder table. The six plaques that label, in Hebrew, the traditional foods, are – “Zeroah” (shankbone), “Beitzah” (hard-boiled egg), “Maror” (bitter herbs), “Haroset” (sweet brown mixture), “Karpat” (dipping vegetable) and “chazeret” (romaine lettuce).